When national and multi-district litigation comes to Alabama, trial lawyers from other parts of the country want an Alabama lawyer who can add value and – equally important – they want an Alabama lawyer who can get along with their national trial team. That’s me. I can deliver your message so that Alabama courts, judges and juries hear it clearly. Stephen A. Rowe advises clients on complex litigation in state and federal courts in Alabama. In the course of his 40 years practicing law, he has tried more than 100 cases to conclusion. He has handled securities, health care, products liability, personal injury, professional liability and insurance disputes. 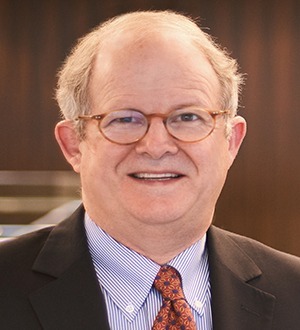 He currently provides counsel in the largest class action lawsuit pending in the United States, the Blue Cross MDL in Birmingham. Steve has experience representing clients multiple times in securities matters before FINRA. He has also defended banks and broker/dealers, health care companies in complex litigation. Steve is a certified mediator and a National Board of Trial Advocacy-certified civil trial advocate. With this training, he is able to offer his clients alternatives to litigation that can generate better results with lower costs, including mediation, arbitration agreements, and modification of business practices.